Is The Wilder-Fury Winner The Best Heavyweight On The Planet? With unbeaten heavyweight stars Deontay Wilder and Tyson Fury all set to collide before the end of the year (providing of course Fury suffers no upset loss to Francesco Pianeta tonight; and if such a Buster Douglas/Leon Spinks/James J Braddock shocker does occur then all bets are of course well and truly off!) the question has been asked: is the winner of this fight the best heavyweight in the world? The winner of the November or December showdown will be able to wear with pride not only the WBC belt, but also the lineal crown; the man who beat the man and all that. Sure Anthony Joshua will have his supporters (assuming AJ suffers no upset of his own at the hands of Alexander Povetkin next month, the former champ from Russia not quite as big an outsider against Joshua as Pianeta is against Fury) but maybe not nearly as many as Wilder or Fury will have. The pressure on Joshua to fight the Fury-Wilder winner, for quite literally all the heavyweight marbles, will be enormous. But until Joshua does defeat the winner of this, arguably the most interesting world heavyweight title fight in a decade or so, he will not be able to look himself in the mirror and know deep in his heart he is the best, the man. We could be just two staggeringly huge heavyweight title fights away from having both an undisputed champion as far as belts go and also a universally recognised, accepted and celebrated heavyweight king of Kings. 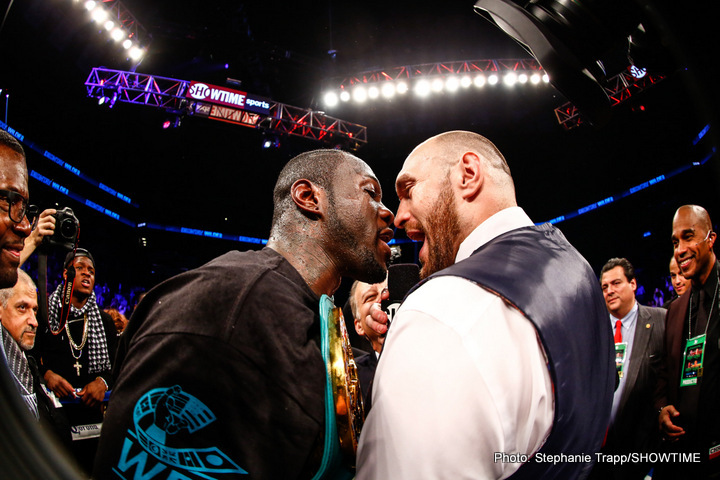 Wilder, Fury, Joshua – they must get in the ring and settle it once and for all. With Wilder and Fury agreeing to duke it out we are half-way there. Next summer, fight fans everywhere will not accept anything other than the spectacle of Joshua facing the Wilder-Fury winner. Until he does so, Joshua will not have tried to prove he is the very best. That distinction will belong to whoever wins the fight that will either go down in New York or Las Vegas in either November or December. Prediction for tonight: Fury will be content to get some rounds under his belt as he fine tunes his skills as much as he can for the Wilder fight. Unless Pianeta is pulled out by his corner, look for Fury to romp to a clear points win. You are here: Home / Boxing News / Is The Wilder-Fury Winner The Best Heavyweight On The Planet?